Top 24 Episodes of "The X-Files"
Dracula and vampire films I've watched and reviewed on IMDb. Scully: [bewildered] But... he was dead! Mulder: [bemused] I noticed that. Scully: He had a stake through his heart! Mulder: I noticed that, too. By far, this has got to be the funniest X-files episode I've ever seen! It's laugh-out-loud funny! What I like about it are the two different viewpoints of the same events, Mulder's and Scully's. It's really like they're a married couple who see the same exact things in a totally different way. It's hilarious! Especially because there's so much truth to it. 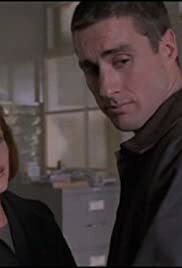 And Luke Wilson is just too stinkin' funny! This is a must see for any X-Files fan, or anybody wanting a good laugh! "Yall must be da guvment peepuhl!"